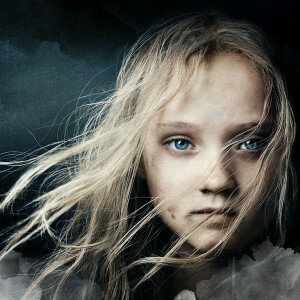 I got out to see the film of Les Misérables last month. As a fan of the stage musical from way back (I’ve seen it at least a dozen times, used to have it memorized back in the 1990s, and even ran a fan website for a while), I’ll say it’s very good. It’s not perfect, and I’m not sure whether it’s great. Enough of the score has been changed or rearranged that it’ll probably take another viewing or two to sort out what bothered me because it was genuinely awkward and what bothered me just because it was different. 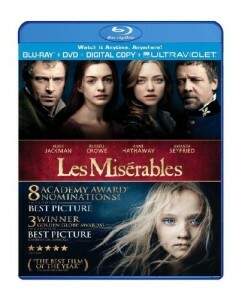 First thing’s first: Hugh Jackman does a great job as Jean Valjean, and Anne Hathaway is absolutely amazing as Fantine. I think the word “heartbreaking” is thrown around too much, but it fits here. The rest of the main cast is good, with the unfortunate exception of Russell Crowe as Javert. He would have been fantastic in a non-singing adaptation, but in the musical, he just didn’t have the vocal presence that Javert needs. Sacha Baron Cohen and Helena Bonham Carter are funny as the Thénardiers, but a bit too buffoonish. There’s an undercurrent of menace to the pair that just didn’t come through. Carter’s Madame Thénardier was a bit too similar to her Mrs. Lovett in Sweeny Todd. I did find Cohen’s affected accent when trying to put one over on someone an interesting character bit. Update: It fits with the book version’s tendency to put on multiple identities for different scam targets. It does take 15-20 minutes to get accustomed to the cinematic style, which unfortunately lines up with a very intense, depressing section of story. If the updated stage version pulls you along without giving you any breaks, imagine how much harder it is when they don’t even break for applause. You’re just dragged along from one painful, desperate situation to the next until you get to the broad comedy of “Master of the House.”* It’s exhausting. A digression: When I studied theater in college, I was taught that the difference between an opera and musical theater is that in an opera, singing is still the most important part of the performance. In musical theater, the singing works together with the acting and (depending on the type of show) dancing to create a combined performance that conveys the character, theme or plot better than any individual component would alone. The decision to record the songs live instead of ahead of time, and to focus on acting through the singing instead of around it, and the ability to show the actors close-up, made for some very intense performances. Valjean’s Soliloquy, “I Dreamed a Dream” and others work even better in the film than they would have otherwise. The downside of this melding is that I don’t think you can separate the visuals from the audio and still have something whole. I bought the soundtrack on discount a couple of weeks before I saw the movie, and I still haven’t listened to it. *And that was written to bolster the spirits of people watching the original stage show, which did allow you to catch your breath and pause to applaud the performers. Some of the new music worked for me, and some didn’t. Gavroche’s bit in “Look Down” about how they once killed a king and have one back again sounded like it could easily have been a lost verse from an earlier form of the show (it would go well with “Ten Little Bullets”), and while I can’t bring to mind the song Cosette sings after Valjean goes into hiding, it’s nice that they let us see her react to him leaving. Valjean’s new song, “Suddenly,” which he sings on the way to Paris after picking up Cosette from the Thénardiers, didn’t really do anything for me. It’s not bad, but it doesn’t sound like Les Misérables. Update: Now I know why: It sounds like a song from Chess. Moving “I Dreamed a Dream” later, after “Lovely Ladies,” was a brilliant decision to heighten the impact of the song. It’s not just, “Oh no, I’ve been fired, now what do I do?” it’s “I’ve hit rock bottom and there’s no way to climb back up.” I can’t hear the line, “So different from this hell I’m living!” the same way anymore. I was surprised to find “Dog Eat Dog” gone (probably because it requires that Thénardier seem threatening), but found that I really didn’t miss it. “Castle on a Cloud,” however, is way too short with two verses instead of three, and “A Little Fall of Rain” could really benefit from the missing second verse. There are minor changes here and there to go with storytelling choices. A lot of them feel awkward to me, but like I said, some of that is just because I know the stage version so well. There were some great cinematic details: I liked, for instance, that Jean Valjean tears up his parole papers at the edge of a cliff, paralleling Javert’s soliloquy on the edge of the bridge. For that matter, Javert’s habit of walking precisely along the edge of a rooftop is a nice bit prefiguring his eventual fall. The moment where Javert finds Gavroche’s body and pins a badge on his shirt, set to the instrumentals of “Bring Him Home” on the “He’s like the son I might have known…” verse is the most moving moment with Javert in the film. The chase through the streets of Paris after Valjean takes in Cosette. The last stand of Grantaire and Enjolras. Worst line in the film: “Who goes there?” “The French Revolution!” Aside from potential audiences already being confused about the timeframe, there’s the fact that attitudes toward THE French Revolution were…complicated at the time. Update: Um…oops. It turns out the exchange is actually in the book. By the time I got up to that point it was clear that they basically see themselves as the modern representatives of the Revolution’s ideals. As rousing as the finale was, something didn’t sit right with me about all of them being on this giant barricade. I still can’t quite put my finger on it. Maybe because it’s presented as Valjean’s view of the afterlife, and the barricade was just one episode for him, not his driving crusade. Or maybe that the whole point is that they’re looking for something beyond the barricade, and while the lyrics imply that they’ve found it, the visuals have them still stuck there. I do want to see it again, and I do plan to buy it on Blu-Ray (these days I try to only buy movies that I expect to watch at home more than once)… and it did inspire me to start re-reading the book for the first time in two decades (here’s the start of my commentary). As I said before, for all its flaws, I do think it’s a good film, but only time will tell if it’s great. Update: I watched it again after finishing the book. Here’s what I thought a year later. I wrote large chunks of this during the week after I saw the film, and then filled in the rest about a month later when I realized I’d better finish it up before the Academy Awards. This entry was posted in Reviews and tagged Adaptation, Movie, Musical on February 24, 2013 by Kelson Vibber.